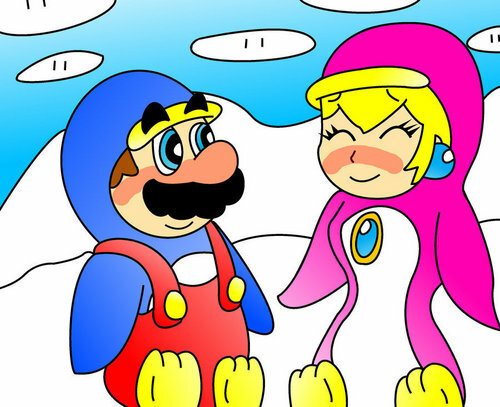 MarioxPeach: পেংগুইন প্রণয়. . HD Wallpaper and background images in the Mario and পীচ club. This Mario and পীচ fan art contains নকল মানুষের, কমিক বই, কমিকস, and কার্টুন. Why is Peach's tummy so thin oh well it's cute!